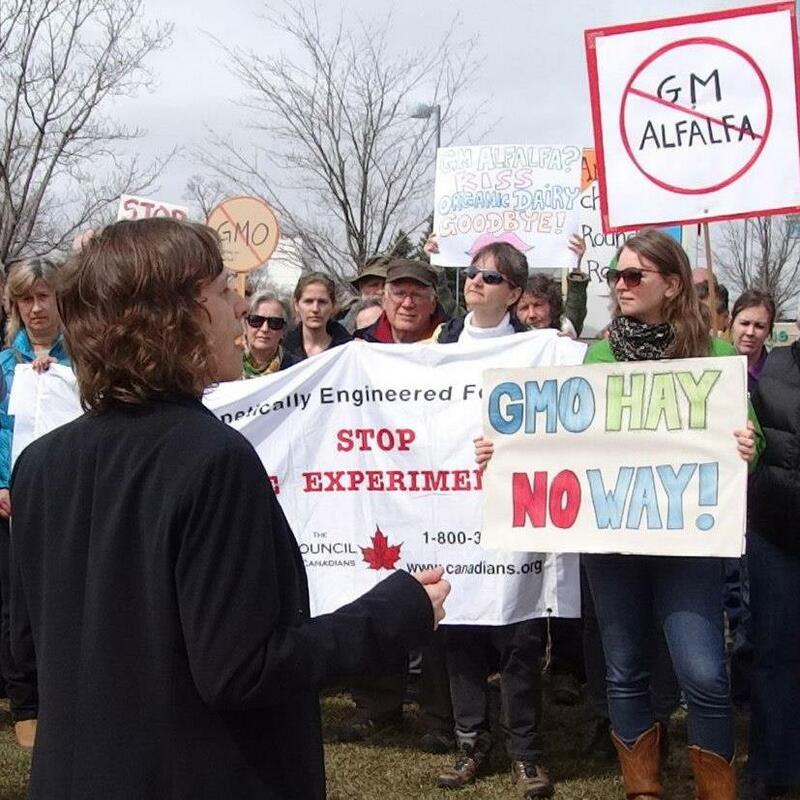 The Organic Council took action to stop the release of GM Alfalfa and, together with its partners, succeeded in keeping the genetically modified seeds off the market this spring! Working in collaboration with the Canadian Biotechnology Action Network (CBAN) and the National Farmers Union (NFU), OCO helped built strong broad-based opposition to the approval and sale of the herbicide-tolerant alfalfa. Funding and advising the RR Alfalfa short animated film. Presenting on behalf of OCO members at the House Of Commons Standing Committee on Agriculture. Touring the Provincial Minister of Agriculture through the Guelph Organic Conference Expo to talk to OCO members, making sure government understand clearly that RR Alfalfa is a disaster waiting to happen. 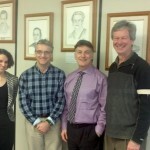 Being invited as expert witness to the Canadian Seed Trade Association’s (CSTA) process for co-existence strategy. OCO also ensured that farmer members could speak at this crucial event. Together, this testimony was instrumental in securing the delay by forcing CSTA to acknowledge the broad disapproval of its release, the lack of context regarding feral population, and the lack of consultation. OCO secured a verbal commitment by CSTA to investigate farmers’ perspectives and run a baseline survey on feral alfalfa. Organizing speaking events with scientists, policy makers, and farmers about the problems with the industry`s co-existence strategy. Helping organize the April 9th National day of action against RR Alfalfa. Leveraging OCO member businesses to increase circulation of petitions and helping deliver them to Parliament. Requesting and receiving a letter of support from the Ontario Federation of Agriculture supporting OCO’s position that farmers need to be properly consulted. Putting constant pressure on this issue- with letters to the editor, conversations at OMAF, with The Eco-Commissioner, commodity groups, and the public. The Canadian government has approved GM herbicide-tolerant alfalfa which would have been sold by Forage Genetics International. The company announced they are not releasing RR Alfalfa for sale in Canada this spring. Bottom line? The collective effort has now bought the sector some time! While celebrating this small victory, the organic sector must also remain focused and engaged. We believe our concerted efforts have the company itself questioning the economics of releasing a product that no one really needs- let’s keep the message clear and simple: NO to RR Alfalfa! 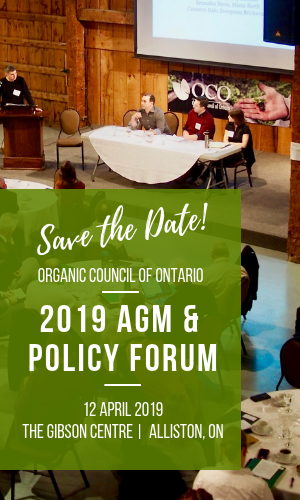 The Organic Council of Ontario needs your ongoing support to continue ensuring victories like this are possible- and that they are not short-lived. OCO’s advocacy on this issue is effective when we have a properly funded core organization. Become an OCO member or renew your membership. Donate or become a consumer member in addition to your corporate or farm membership. Tell your friends about OCO and the important advocacy that OCO does on your behalf.